John was a perfectionist in every sense of the word: A talented woodworker and finish carpenter. His lawns were legendary...perfectly manicured with straight edging. He liked nothing better than to mow, start the sprinklers, open a cold beer and watch his grass grow so that he could mow once again. He was a car enthusiast and owned many - always spotless and in good working order. He loved to golf and play cards and always mixed a stiff drink. He was a good and honorable man who set high standards for himself and others. His former employment includes Hertz Rent A Car, Kuni Cadillac, G.J. Miller Construction and Black Butte Ranch. 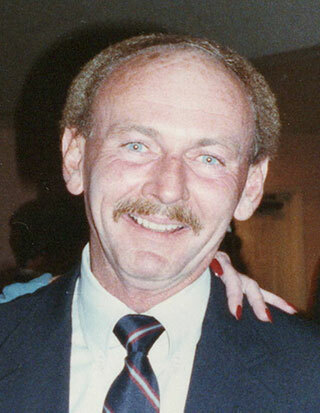 He will be truly missed by his wife; daughters Cori Wunderle (Andreas), Shelley Lindsey (Kevin); seven grandchildren; his sister, Connie Sheeley; and numerous nieces and nephews. A memorial service has been planned at Willamette National Cemetery in Portland on March 8 at 11 a.m. All are welcome.